Sarah Schenirer did not want her portrait taken. 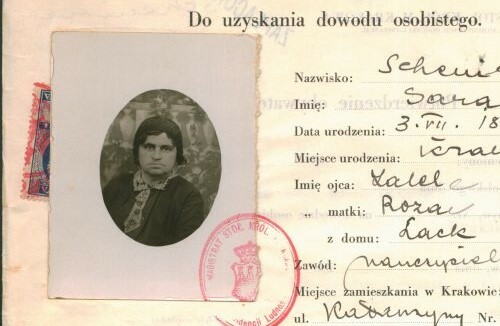 The only two images of her that exist are this one, on her application for an ID card, and a drawing. We include the border of her ID card application to honor the spirit of her wishes. Sarah Schenirer was born in Kraków on July 3, 1883, the third of the nine children of Bezalel and Roza (Lack) Schenirer, a family of Belzer Hasidim which also had ties with Sandzer Hasidism. She passed away, after a brief treatment for stomach cancer in Vienna, on March 1, 1935, in Kraków. She had a formal education of only eight grades, but was a gifted autodidact both in traditional Jewish sources (which she seems to have read mostly in Yiddish translation) and in secular culture, reading widely in German and Polish literature and attending public lectures and plays. She was intensely religious, but felt that the Orthodox world lacked resources for women with her religious and intellectual passions. Her founding of Bais Yaakov emerged from these interests, her concern about her Jewish “sisters” who were defecting from Orthodoxy, and from her experience of neo-Orthodox Judaism in Central Europe: she was inspired to start the schools, she writes in her memoir, by hearing a sermon in late 1914 about the biblical heroine Judith by Rabbi Moshe David Flesch (1879-1944) in the Stumpergasse Synagogue in Vienna, where Sarah Schenirer had fled along with a flood of other refugees from Galicia with the outbreak of war. Sarah Schenirer worked as a dressmaker in Kraków from the time she left school until 1917, when she founded her first school and turned her attention to teaching. She was married twice, first to Shmuel Nussbaum (1910-13), from whom she was divorced, and the second time to Yitzkhok Landau (by 1931). 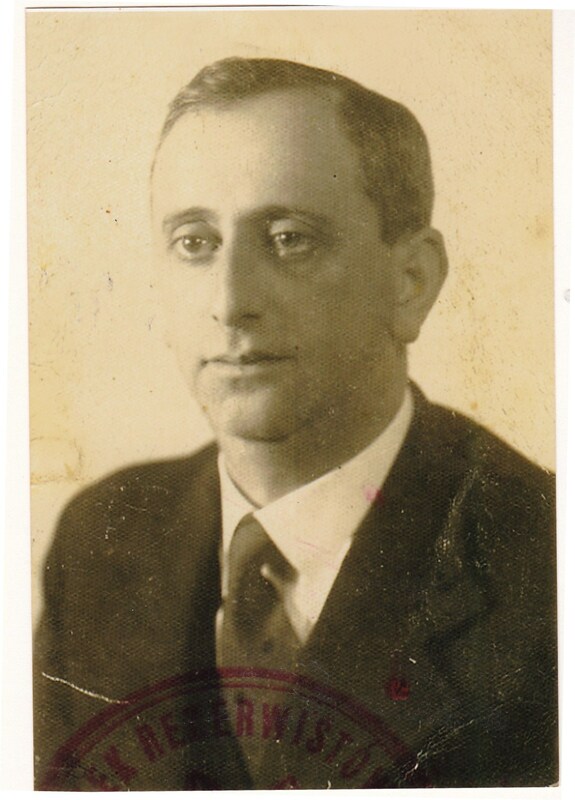 She was not only the founder of the Bais Yaakov schools, but also traveled throughout Poland in support of the system. She was a prolific writer of articles, scripts for Bais Yaakov school plays, letters to individuals and missives to Bnos groups and Bais Yaakov schools, and the first Bais Yaakov textbook (the two-volume Yahadus, published 1928). Her Gezamelte shriftn [Collected Writings] appeared in 1933, and was reissued by a committee of Bais Yaakov educators in Brooklyn in 1955, on the twentieth anniversary of her death (Hebrew translations of her work, along with additional material on her and on Bais Yaakov, appeared in 1955-60 and 1983 as Em be-yisrael). Sarah Schenirer’s Polish diary for the years 1910 to 1913 surfaced a few years ago, and will be published in Polish and English in Pisma Autobiograficne (autobiographical writings by Polish Jews, edited by Dariusz Dekert and Joanną Lisek). Read about Sarah Schenirer's family here.